We offer premium quality Non Ferrous Forging to our valuable customers. 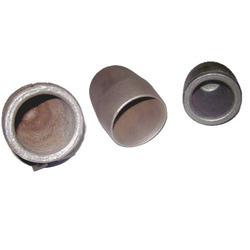 These forgings are manufactured from non-ferrous materials, which are sourced from trusted and reliable vendors of the industry. To maintain unmatched quality of the offered products, we have established a state-of-the-art in-house quality testing unit that is well-equipped with advanced testing tools and equipment. Looking for Non Ferrous Forging ?